ESPN is adding an early-season college basketball event to its roster this year with the Myrtle Beach Invitational. The new event will take place Nov. 15, 16 and 18, 2018, at the HTC Center on the campus of Coastal Carolina University. The inaugural early-season tournament will feature Cal State Fullerton, Saint Joseph’s, UCF, Valparaiso, Wake Forest, West Virginia and Western Kentucky with an eighth team to be announced at a later date. Several teams saw postseason success this season, with Cal State Fullerton and West Virginia playing the NCAA Men’s Tournament, where the Mountaineers advanced to the Sweet 16, and Western Kentucky appearing in the NIT Semifinals. 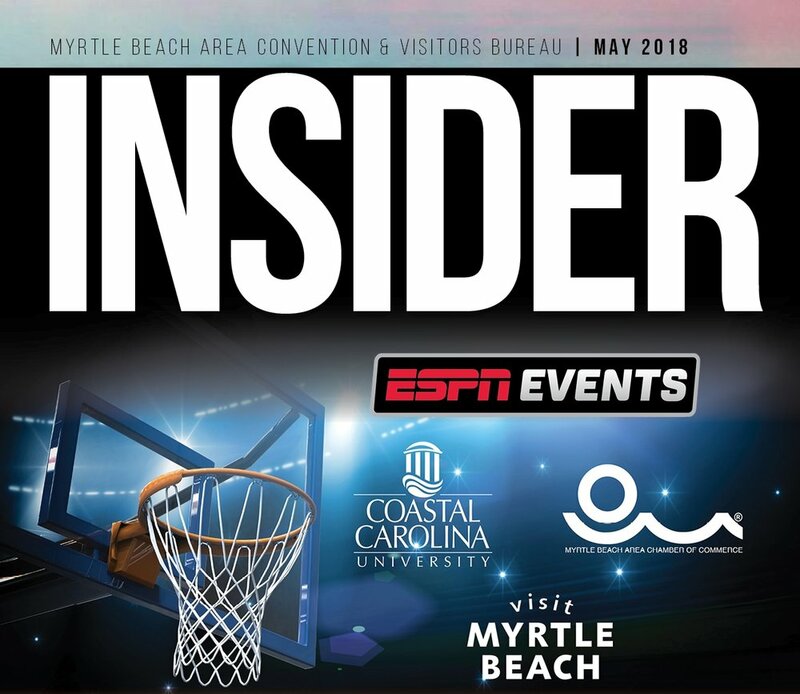 in November for the inaugural Myrtle Beach Invitational,” said Carla Schuessler, Myrtle Beach Area Chamber of Commerce chair of the board. “We are also looking forward to welcoming all the fans to our destination. In addition to the exciting action on the court, the Myrtle Beach area has so much to offer fans from the beautiful beach, to dining and attractions." For more information on the event, go to visitmyrtlebeachinvite.com.